Idaho's Aaron Grymes (left) tries to break up a touchdown pass intended for Willie Clark. Clark was able to hang on for NIU's first touchdown during the second quarter. 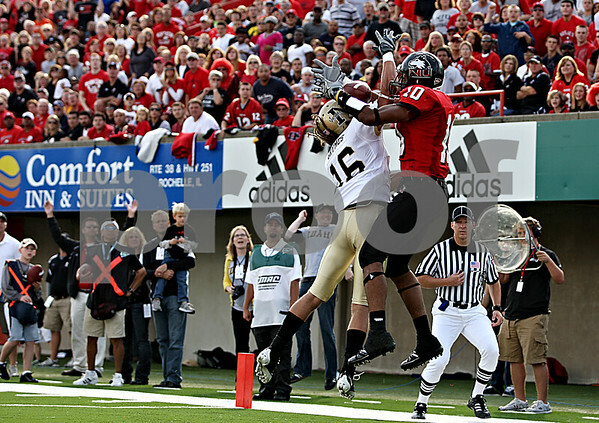 NIU was defeated by Idaho 34-31 on Saturday.